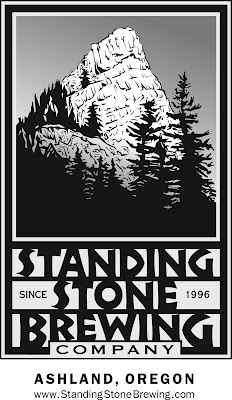 Beers Made By Walking: Hike with Standing Stone Brewing on July 29th! Hike with Standing Stone Brewing on July 29th! Friends of the Beers Made By Walking program in Southern Oregon will receive a special treat this Monday, July 29th. As we proclaim on the front page of our website, BMBW is a four part process: Go on a walk, learn, make beer, and drink beer. The beer, of course, inspired by the plants that you see along the walk. Standing Stone Brewing in Ashland will partake in Step 1 and 2 of that process and they are inviting you to come along with them. Head brewer, Larry Chase, will be on the hike and you'll have the opportunity to hang out with him. Chase is no stranger to the BMBW program. Last year he hiked the Grizzly Peak Trail, and after identifying a number of edible plants, he chose to brew a beer with wild sweet root and wild ginger. He truly embodies the spirit of BMBW, as this year he is inviting fans of the brewery to come along with him and he advises people to pack a lunch and bring some swim gear for the Hyatt Lake area! The hike will be led by Michael Altman, a member of the American Herbalists Guild. He works at the Mederi Foundation providing clinical nutrition and herbal consultations and creating comprehensive plans for nutritional and dietary lifestyles based on biochemical individuality. You can read more about him and his work here.